What we learn in our youth on the gridiron translates directly to life in the military. When describing the game, television announcers, color commentators and comedians often use military analogies to describe what occurs between the sidelines. George Carlin’s routine on football and baseball aside, I offer the following litany of analogies to describe how football prepared me for a military career. Anyone who claims to have never failed at anything is probably trying to sell you something. Learning to fail on the football field is in fact one of the most valuable life lessons I learned. Everyone needs to experience failure at some level throughout his or her lifetime. Some failure you can recover from, others will haunt you for the remainder of your life. There is a difference between a 3-yard loss on first down, and giving up a 100-yard kickoff return. Football prepared me to deal with failure. Not only to accept certain levels, but to overcome failures with a better performance on the next down, the next series, or the next game. Everyone fails at some point in his or her military career. It could be as simple as blowing a brief to a commander, getting recycled at ranger school, or losing accountability of unit property. Again, there are many layers to failure in the military. We can bounce back from some failures, but a failure that involves compromising morals or ethics can destroy a career. Fortunately, over the course of my time in football, and in the military I have been surrounded by friends, coaches and collegues who helped me avoid, and when necessary recover from failure. Football taught me that success and failure is a team effort. Miss a block or forget an assignment in pass coverage and the opponent will capitalize on the error. Even worse, a teammate can be injured. In the military, we learn quickly that success is a team effort. Teamwork can mean knocking down targets in an assigned sector of fire, or contributing to an operational planning team. In the military, failure at the individual level can lead to mission failure, or even worse getting someone close to you killed. Football was my first experience of being a part of a cohesive group of individuals over a long period. We had teams in little league baseball, but the players on each team changed year after year. Our football team had a core group of players who began playing at the age of 8 through the end of high school. The bonds we developed remain intact today. Similarly, in the Army I have been a part of units that spent over a year preparing for, and then a year serving in combat. The importance of team chemistry and developing relationships that go beyond the workplace is paramount to warfighting units. The ability for the American military to provide realistic training is an asymmetric advantage we hold over our adversaries. The importance of this was emphasized to me early in my childhood. I first heard the quote “how you practice is how you play” in my first year of organized football as an 8-year old. The amount of effort teams put forth on the practice field easily translates to success or failure on game day. Over the past 16 plus years, I have been witness to this concept in war. Indeed, during the first Gulf War in 1991, tank crews stated that rotations at the National Training Center (NTC) were more difficult than actual battle. Hard, realistic training at home station and at NTC and JRTC enable better combat performance for tactical level units. High levels of mental preparation and planning in events such as Combatant Command exercises and division or corps level warfighter exercises are critical for military success in times of crisis. In both football and the military, the more effort you put in on the front end, the better the chance of success on the field. Every week our team would spend Monday afternoons in the film room. It was a religious experience, in that every one of us would pray that our coaching staff somehow missed the plays we knew we screwed up. Following the review of our past game we would watch film of our next opponent. We would take the time to understand their formations and what plays would most likely be called in a given situation. This was my first exposure to an enemy doctrine template. In a similar manner, we would do our best to understand the filed we would play on and the expected weather on game day…a situation template. Sun Zsu, in his book The Art of War pressed the imperative that to be successful, you must know thy enemy, and know thy self. A deep understanding of an opponent’s capabilities and most likely course of action allows a force, or a football team to focus its preparation. However, understanding that the opposing force is conducting the same preparation, watching your team on film, or studying your doctrine leads to the next way football prepared me for a military career. Relying on the weakness or incompetence of an enemy is a key ingredient to failure. War is the most complicated of human endeavors. A key aspect in the difficulties of warfare is that no nation or army conducts operations against an inanimate object. Enemies and adversaries constantly adapt to the environment while doing their best to defeat you. Adversaries have strategies and adjust them on the fly. Those who fail to adapt often face defeat. This description fits both warfare and football. I learned early in life that no matter how well prepared our team may have been on the practice field, or in the gym, our opponents were doing the same thing. Planning to defeat us, and putting in time at the gym to out-muscle us on the field. They made adjustments to their game plan on every series, and went to the locker room at halftime to refine their gameplans. Success was defined by who could stay one-step ahead in this first exposure to an OODA Loop. In a similar plane, understanding that adversaries adapt leads to the wisdom of never underestimating an opponent. As an 18 year-old young man, my football career reached its zenith. On a cold November night, the Nassau County Finals game clock approached zero, and we were on the losing side of a 31–0 blowout. After ten years of playing ball this was the last time I put on pads to participate in an organized football game. I knew this fact as the clock ticked to zero in the fourth quarter, and I teared up on the sideline. I was not the only one in this category. Our team had a couple players that would play some ball in junior college, division III and one player in division I. Nobody made it to the NFL, and within 4 years, all my peers were out of football. As adults, some have moved on into coaching, but nobody is putting on the pads Saturday mornings. To this day, I still play tennis, and I compete in men’s league hockey at the local rink. I hope to continue these for many years to come. Football however is a young man’s game. I believe this experience, prepared me for the inevitable conclusion to my military career sometime in the future. 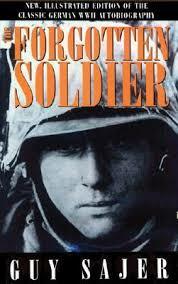 As I pass though my 17th year on active duty, the reality sets in that there will be a life after the Army. I'll probably tear up in my retirement speech, just as I have witnessed scores of others do during their time at the podium. It will be emotional, but it happens to everyone, from those who leave after their initial 4-year enlistment, to flag officers who retire after 30 years in service. In January of 2017, the Chairman of the Joint Chiefs of Staff promulgated Joint Publication 3-0. This was approximately five months prior to the release of Joint Publication 5-0, Joint Planning. At a minimum, Joint Planners look to two points of doctrine, JP 30, and JP 5-0. To compliment my review of JP 5-0, here is my review of Joint Operations doctrine. Few things rate as high to a staff as the commander’s intent. In previous joint doctrine, there was little direction on what a commander should include within his stated intent. The latest edition of Joint Operations mandates that commander’s intent “includes the purpose, endstate, and associated risks. While these remain a minimum of content within the commander’s intent, it is paramount for staffs and subordinate commands to have this direction to conduct planning. Further, a well-crafted intent enables a semblance of mission command, where subordinates have an ample amount of direction to operate in the chaotic conditions of combat. Inclusion of the Electromagnetic Spectrum as a part of the “Information Environment” as well as a section on Command and Control of Joint Electromagnetic Spectrum Operations (JEMSO) are welcome additions. These changes are a direct result of the heavy conceptual lifting during the writing and publication of the Joint Concept for Electromagnetic Operations in 2015. This is a recognition that we must integrate EMS operations with Information Operations (IO) and cyberspace operations to account for future operations in what has been labeled “the fifth battlefield”. [i] The EMS is no longer a free-access medium. It is a battlespace where forcible entry and maneuver warfare are required to support operations in the other physical domains. By establishing the EMS as a within joint doctrine for operations, the joint force demands commanders and staffs plan for and execute spectrum operations. Previous joint doctrine included broad discussions on Strategic Communications and their subsequent Communications Strategy. Ove the past six or seven years, there was broad pushback against this terminology. The new JP 3-0 changes to the term and definition to Commander’s Communication Synchronization (CCS). The new definition narrows the purpose of CCS, and focuses the wide array of communication forms (messages, plans, programs, products, and actions) for the commander, as directs joint commanders to synchronize their communications with other instruments of national power. This is a prudent update, but as I discuss later, should have gone further. Finally, the inclusion of global strike as a key consideration under joint fires (pg III-31) aligns with current practices of each combatant command. Indeed, most combatant command staffs employ global strike planners with dedicated planning resources. The discussion in JP 3-0 is short, but this mission does not occur within every joint command. It was prudent to include this discussion and recognize the need for this capability. Although I praise the change from Strategic Communication to Communications Strategy, how joint staffs consider messaging in the formulations of strategy, plans, and operations remains inadequate. Indeed, most joint staffs have a couple experts working on themes and messages, which eventually translate to an Annex Y of an operations order. We need to flip this paradigm, present what message strategic leaders wish to convey to ourselves, our allies, and our adversaries, and then proceed to develop options or courses of action that align with said messages. For example, a commander’s intent could include the messages he or she wishes to send to an adversary, thus enabling his or her staff to develop multiple options in line with those messages. We all laughed at the kids majoring in communications back in college, but now as a senior officer and experienced joint planner, I realize communications is life’s most important skill. The joint force can do better in this respect. Within joint planning, the development of options for commanders and policy makers is the best place to lead off with the intended message. Each specific option within DIME, be it in the development and execution of Flexible Deterrent Options (FDOs) and Flexible Response Options (FROs) relays a message to the homeland, to allies and partners, and to our enemies and adversaries. Insteadd of developing a message to corrospond to an option, or course of action, we should look to form options and courses of action to desired messages. Throughout the revised Joint Publication 3-0, there is discussion on phases. The new Joint Operations doctrine describes in detail multiple types of missions, from Stability Operations and DSCA to FHA, NEO, COIN, Global Strike and Large Scale Combat Operations. There are diagrams that seem to break some of these operations into phases according to the old 6-phase model. However, the revision of JP 3-0 does not label each phase. 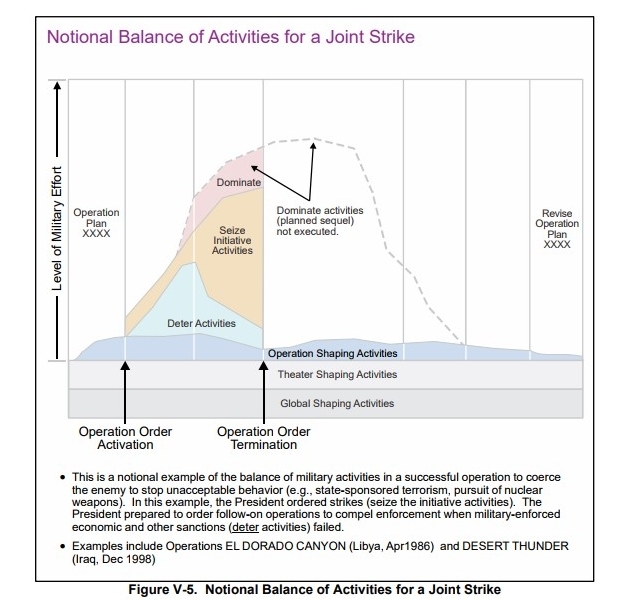 Moreover when discussing the balance of Offense, Defense, and Stability Activities, the diagram reverts to the previous 6 phases of joint operations model. The way in which JP 3-0 lays out these activities does not line up with the re-write of JP 5-0, which left out the phasing diagrams. This could create confusion for joint planners looking to reference doctrine. A well thought out Operational Approach is one of the best forms of communication from one level of command to another. 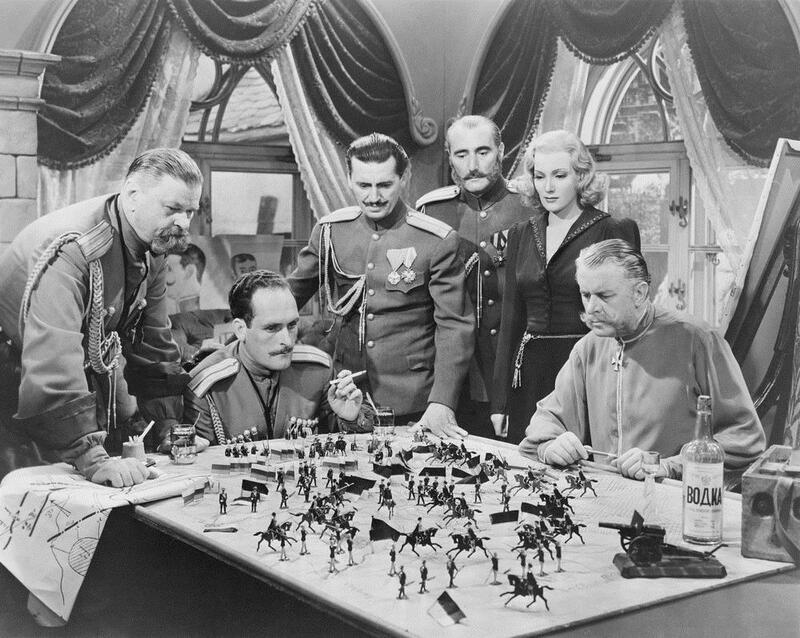 When the commander and staff put time and effort into an operational approach at the onset of planning, the rest of the Joint Planning Process flows downhill. Unfortunately, the revision of JP 3-0 has one paragraph dedicated to the operational approach, with little description of its elements. An effective operations approach should include the problem statement, current conditions, Lines of Effort (LOEs) or Lines of Operation (LOOs), an endstate, along with decisive points, decision points, and possibly objectives and effects. Indeed, these elements should go into the initial operational approach, which is then updated throughout each step of the Joint Planning Process. The revision of JP 3-0 is a welcome addition to the family of joint doctrine. The updates are timely, and reflective of current practices at Combatant Commands and other joint staffs. [i] J. P. London, "The New Wave of Warfare -- Battling to Dominate the Electromagnetic Spectrum," Journal of Electronic Defense 38, no. 9 (09, 2015), 68-76.